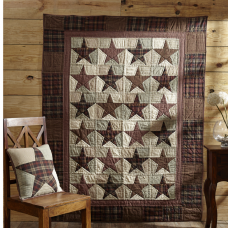 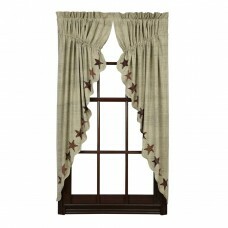 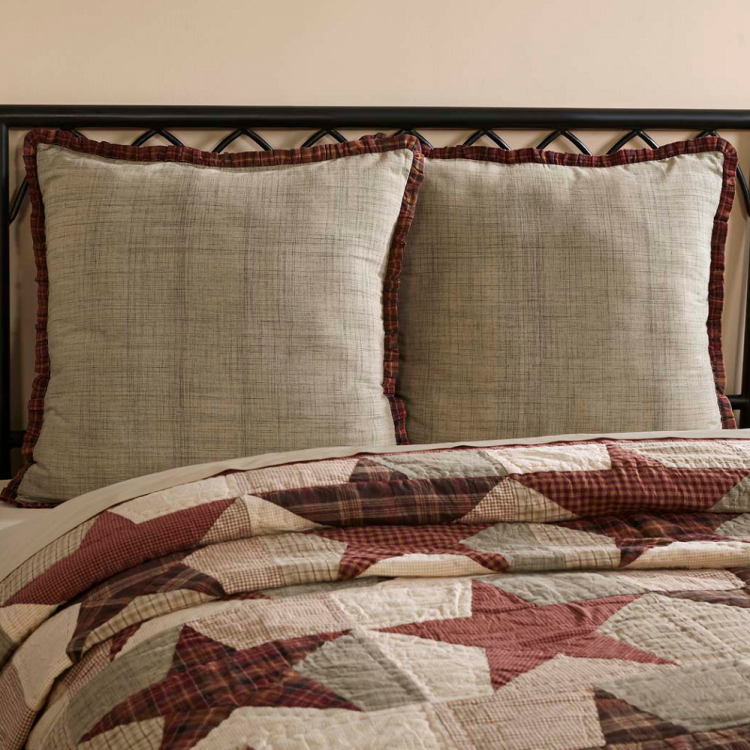 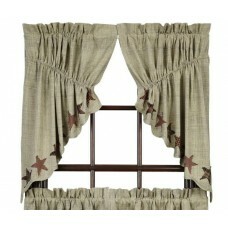 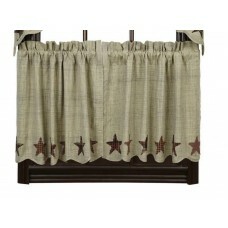 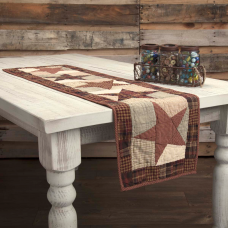 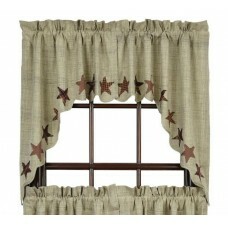 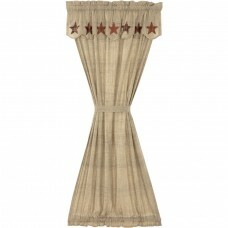 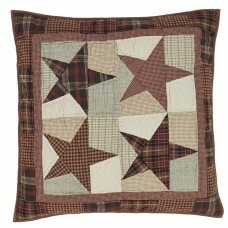 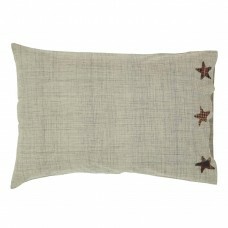 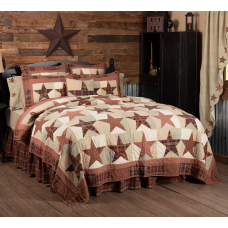 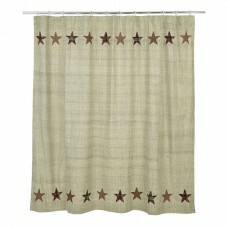 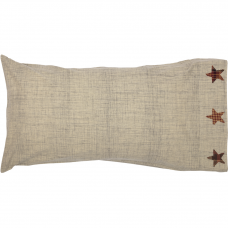 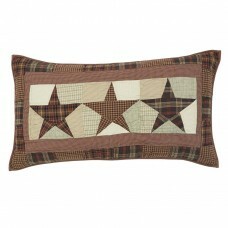 The Abilene Star fabric euro sham measures 26"x26" and is a 100% cotton. 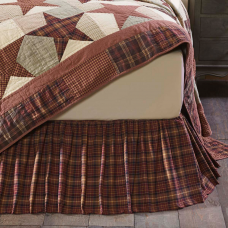 Front fabric is a dark cream with a dark grey slub weave interwoven for a detailed and unique color variation and texture, the edging is a plaid ruffle. 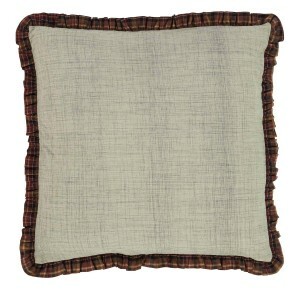 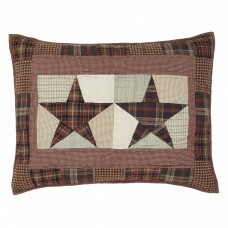 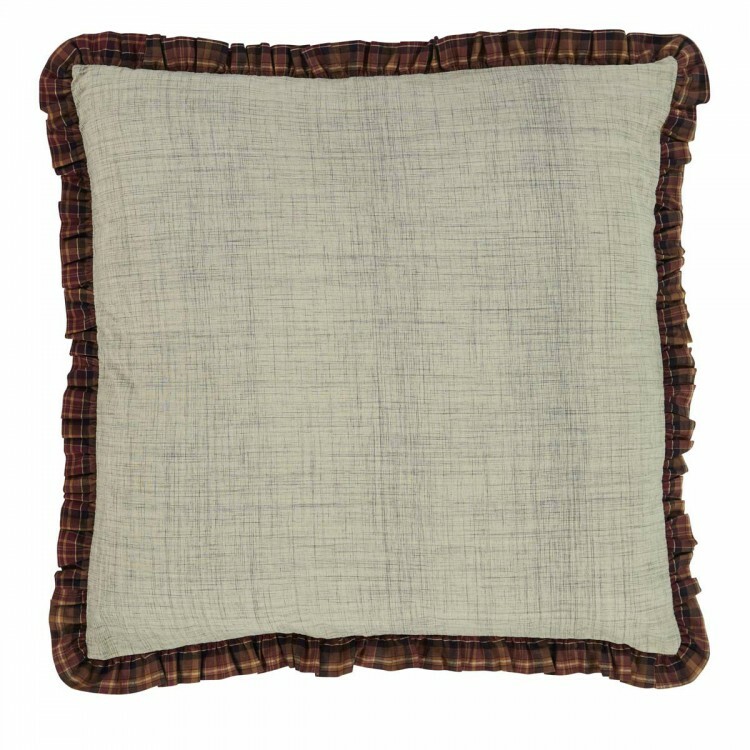 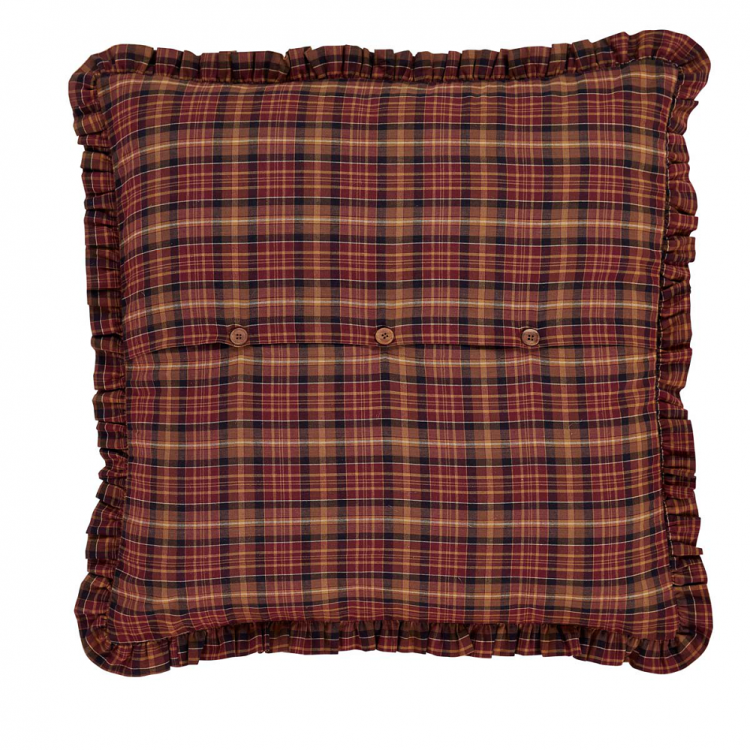 The back features a plaid fabric a 3-button closure with a 3" overlap to conceal the pillow insert. 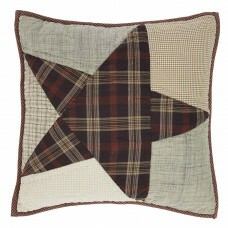 The pillow filler is sold separately (photographed filled).